This price will only be available until 10/28 for a super spooky rate! Snag your spot now! Bring something to take notes with and your audition song - you may get to perform at the end of the session if there is extra time. Only $27.50 per class. Perform your piece and work one-on-one with instructors to improve your audition. The Musical Theater Workshop focuses on making your audition the best it can be, top to bottom. From music selection to acting your songs to audition wardrobe choice, you will receive honest and valuable feedback to give you the confidence to nail your next audition. Week One: We concentrate on tips and traps, giving you specific notes to take home. Week Two: Bring your adjustments back into the room for the ultimate audition clean-up. To get the most out of this class, plan to attend both sessions. If you are unable to come to one or both, simply e-mail info@portlandtheatre.com so we can accommodate those on the waitlist. Thank you! PATA Board Member Natalie McClure is a semi-recent transplant to Portland after living almost a decade in New York City. 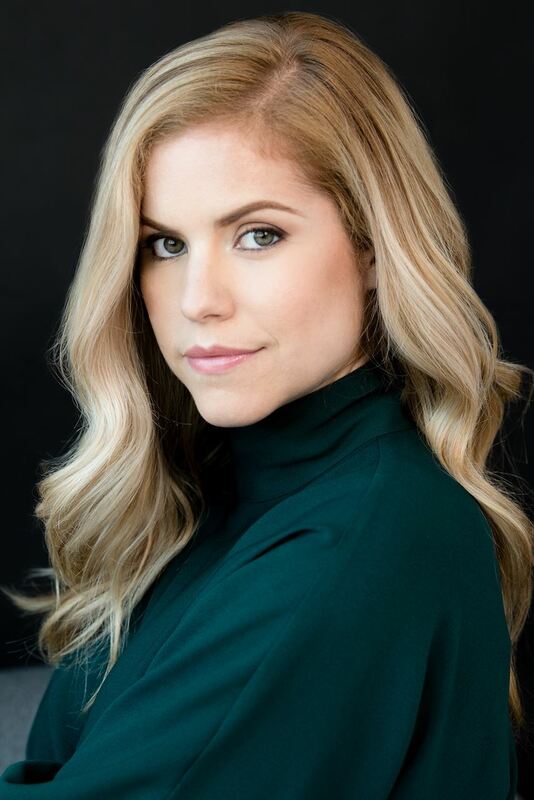 Natalie is an actor, singer, writer, and producer who has performed in shows across the U.S. As an ABBA lover, her favorite role was Sophie in the Broadway sit-down Mamma Mia! in Las Vegas. Natalie spent years learning the audition scene in the toughest theater market in the world and is glad to announce that she came out alive. She spent time as a reader for ABC, where she learned from some of the biggest casting directors in the business. Natalie has performed with the Broadway Rose Theatre Company here in Portland and in several cabarets around town. She runs an all-female production company in New York that created an award-winning web series and has since pitched projects to several major networks. Natalie holds a BFA in Musical Theatre Performance and is a proud member of Actors’ Equity. Mont Chris Hubbard is an accomplished Portland composer/performer/music director. He is the creator and host of Portland's most endearingly-strange variety show, The Mont Chris Hubbard Bonus Show, and hosts a monthly late night piano bar at Artists Repertory Theatre. He is the co-creator of the PAMTA-nominated musical Carnies, and he co-wrote two short musicals, Work Friends and Save the Date, which were produced in the 2012 and 2013 Fertile Ground Festivals, respectively. (“Catchy tunes,” said The Oregonian about the former.) He received a 2011 Kennedy Center ACTF Meritorious Achievement Award for his original score (songs and underscoring) and musical direction of The Caucasian Chalk Circle (Lewis & Clark College). In addition, he has music directed and accompanied at some of Portland's most prominent theaters – local recognition includes a 2013 Portland Area Musical Theatre Award for his music direction of Little Shop of Horrors (Broadway Rose Theatre Company). He has released five CDs of solo piano improvisations, and his band Scotland Barr & The Slow Drags won the 2012 Portland Music Award for their final album, We Will Be Forgotten. He is a proud member of the American Federation of Musicians, the union of professional musicians, and proud supporter of the labor movement. You can hear all of his music at www.montchrishubbard.com.